In the weeks that followed my father’s death, a phrase kept running through my head. Julian of Norwich said it, but here is the really odd thing. I had never read anything by Julian of Norwich. I had never even heard her name. So how did the quote get into my subconscious mind and surface at precisely the moment I needed to cling to it? 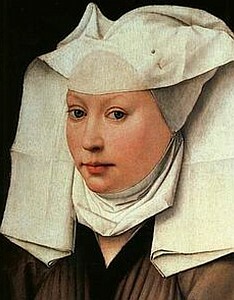 After I entered the Catholic Church, I stumbled upon Julian of Norwich and her quote. I wondered if I had experienced infused knowledge a year earlier. I had heard of that sort of thing happening. Suddenly you know something you have no way of knowing. Deep things. Things you have never studied. Somehow, you just know them. There was another explanation – a far more likely explanation. Shortly after converting, I slipped a book from the shelves of our home library and reread something I had studied in graduate school. And in the lines of poetry I found it. All will be well, all will be well, and all manner of things will be well. T.S. Eliot had borrowed the line from Julian of Norwich, and someone on the faculty at Southern Illinois University at Edwardsville had put his poetry collection Four Quartets on the graduate school reading list. That means I had read those words in 2001 while studying for comprehensive exams, and the quote remained tucked away in the far recesses of my mind until it surfaced again in January of 2004. God uses everything. Even obscure quotes from graduate school. Back then, I kept my school world and my spiritual world separated. Degrees and religion didn’t go together. I attended class through the week, and I went to church on Sunday. I picked up a book for graduate school. I would set it aside and read something by Max Lucado. One was academic. The other was spiritual. Everything was compartmentalized. God laughs at that. Nothing is truly compartmentalized. 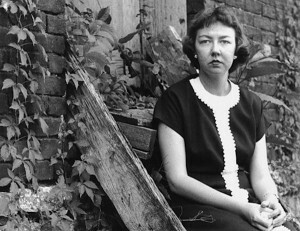 And Flannery O’Connor is another literary genius that proves the point. My undergraduate professors used to say O’Connor wrote about conversion, redemption and grace – which of course seemed ridiculous to me. I thought she created characters with massive personality disorders and physical deformities. Nothing spiritual there. I thought my professors in undergraduate school were trying to make some kind of religious theme out of literary writing when every Evangelical Protestant knew that you couldn’t talk about conversion without explicitly delving into Jesus and the sinner’s prayer of repentance. You couldn’t talk about redemption without talking about death on a Cross and the wages of sin and Easter morning. You couldn’t talk about grace without personal testimonies of blessings. And blessing did not come in the form of suffering and death and illness and deformity. God doesn’t show up in stories about prosthetic limbs, I thought. Which meant Flannery O’Connor wasn’t a Christian writer. She was just a writer, I decided. Had I understood O’Connor better, I might have understood the hand of God better. I might not have needed Jesus to hide gems in my graduate school reading list. I might not have been so utterly confused by my father’s death. I might have known to pause and look at the Cross because I would have known that sorrow is the kind of thing that redirects the complacent soul. I would have known that grace comes wrapped up in suffering and sorrow and pain far more often than fortune or feel-good moments. How often I have been with my mom in a store or a restaurant and heard her whisper, “There’s something wrong with that child.” I’d look, and sure enough, there would be a child with some health issue or birth defect. Those conversations were right out of a short story by Flannery O’Connor. If O’Connor had written about us, she would have even left in the part about a preacher dying – and his grown daughter’s search for some kind of meaning in the madness. Yes, that’s O’Connor. Get them off balance. No easy grace for her. Life is messy. Hard. Downright awful sometimes. She would have penned all of the dark moments because that’s real. She understood grace and conversion and redemptive suffering in a way I did not. There is a professor somewhere who is responsible for putting T.S. Eliot and Flannery O’Connor on the mandatory reading list for graduate school students. He’s some kind of missionary, I think. So here’s to Flannery O’Connor and dark days when our mind clings to scraps of paper we don’t remember reading in the first place. All will be well. All will be well. All manner of things will be well.